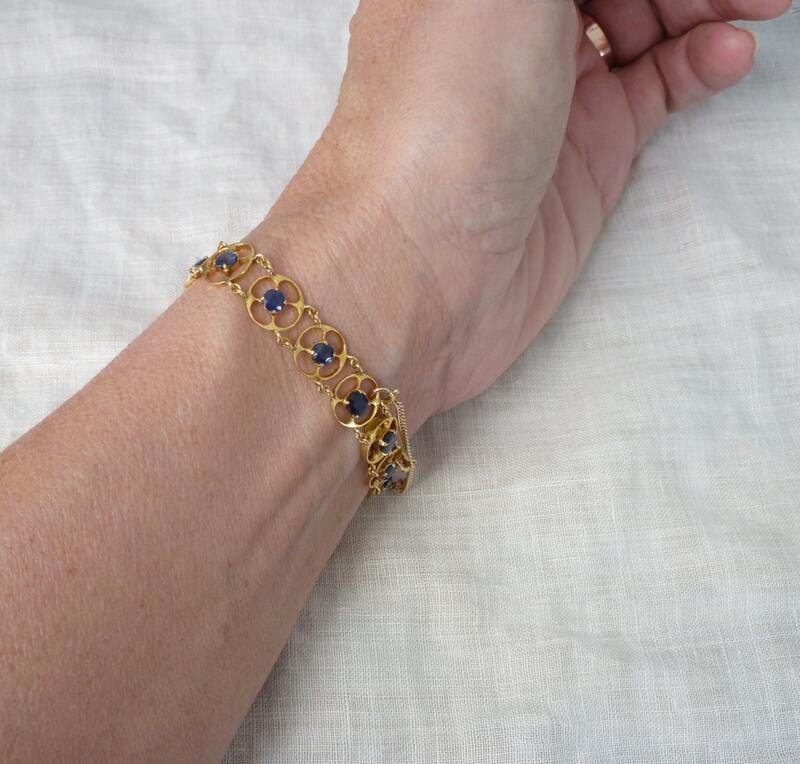 Here is Tressa, a gorgeous, natural blue sapphires set in 18t yellow gold bracelet. 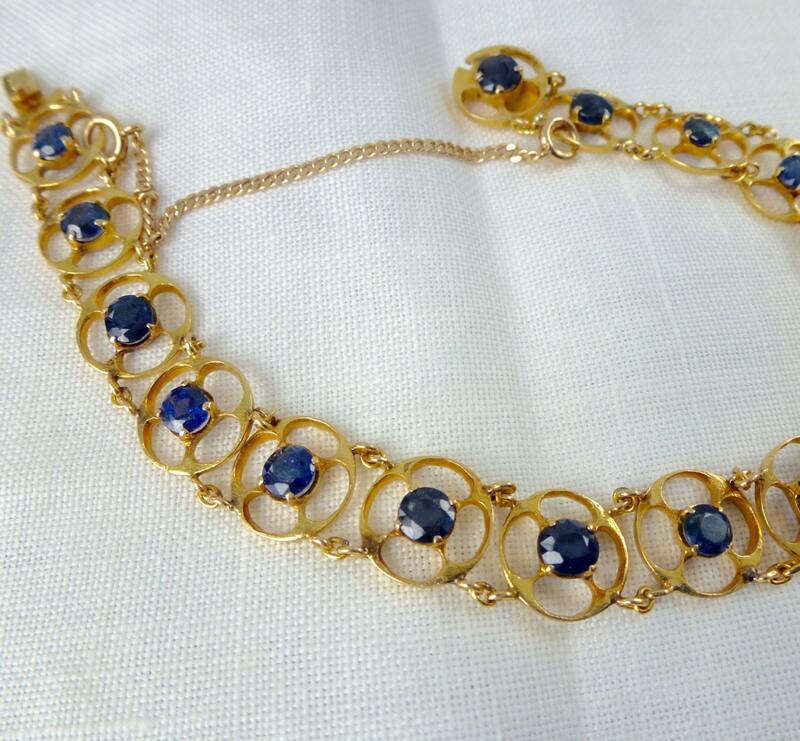 The sapphires are just the most beautiful shade of blue, each a tiny bit different from each other. 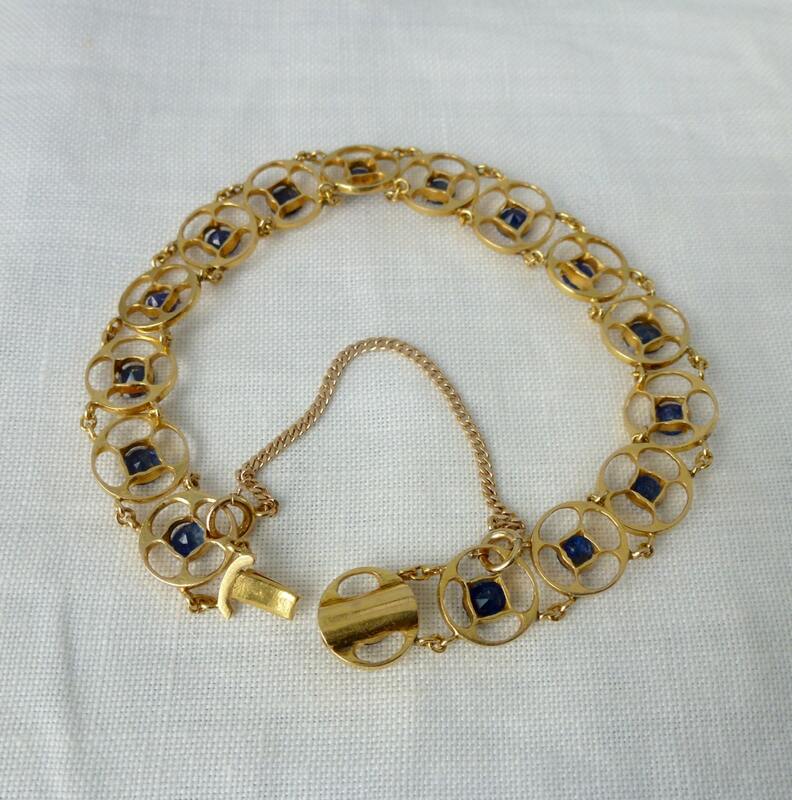 The style is unique, the round sapphires set inside a circle of gold, which are then linked together. Circles encircling your wrist! 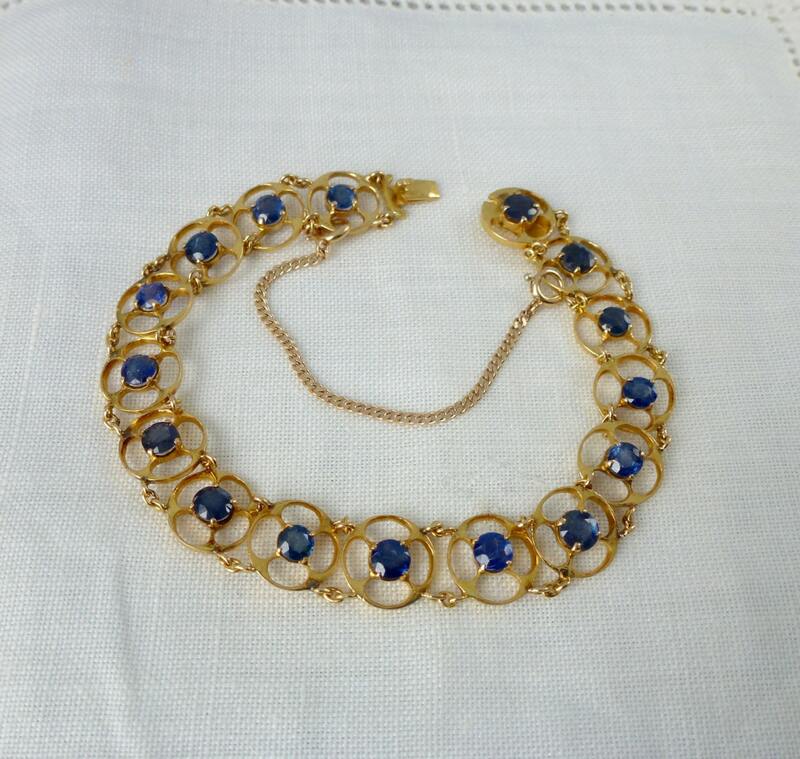 Tressa is a very fine, well made bracelet in very good condition with only a minor amount of wear to the gold and some tiny nibbles to the facet edges of some of the sapphires, which cannot be seen without magnification. The safety chain appears to have been added at a later date, as it is a different gold. Outstandingly beautiful, she would make an astonishing gift or is the perfect reward for your hardworking self! If you need extra time to pay for an item, contact me about my layaway plan. 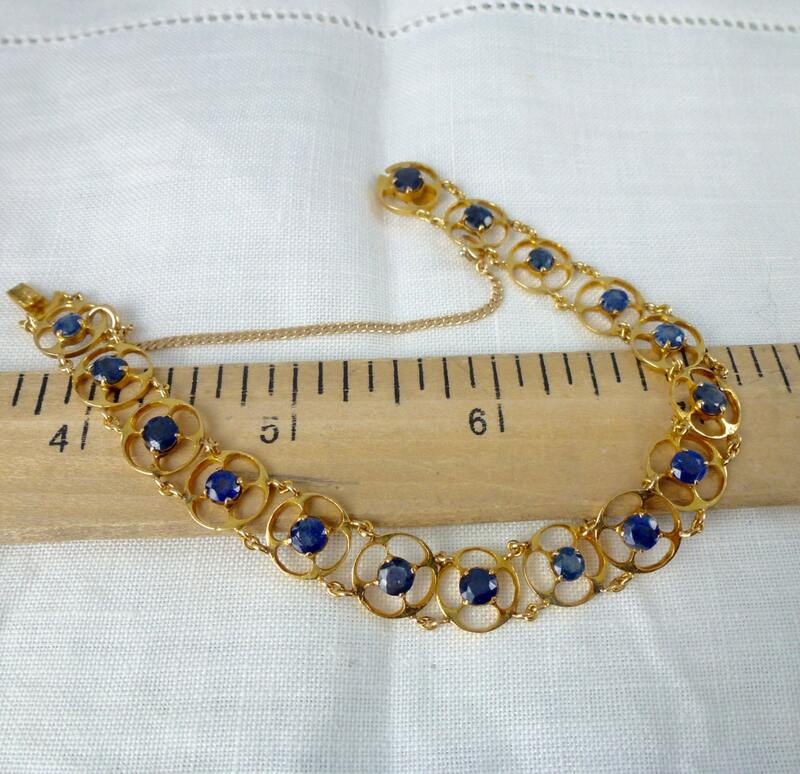 You can find the details in the policy section of my shop page or on any item page. PLEASE READ: If you are located outside the US, please read my shipping policies prior to ordering!!! !